It’s that time of year already! It’s time to go back to school… for some of you anyway. I’m far too old for that now. But that strange feeling in the air will never go away! Whether you’re in need of some nourishment between classes or just need some new meal prep ideas for the back pocket I’ve got you covered. I’m using 2 easy and convenient products from Yves Veggie Cuisine to make a couple of ideas you can prep at the beginning of the week and pack up each day before you head out the door. Thanks to Yves Veggie Cuisine for sponsoring this post! I used the Yves falafels to make a falafel bowl with roasted cauliflower and vegan tzatziki and the Yves kale & quinoa bites to make some delicious lettuce wraps with lemon aioli. Yves Veggie Cuisine products are available across North America and can be found in the produce or deli section of your local grocery store. 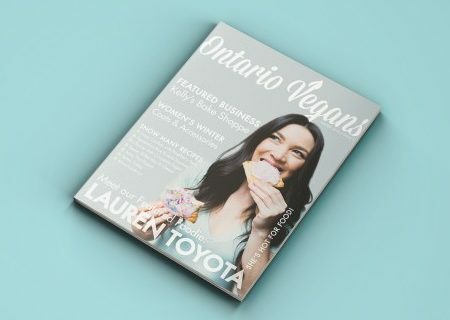 These Canadian made products have been around since the 80’s and was the brand that helped me transition to a vegetarian diet when I was a teenager. 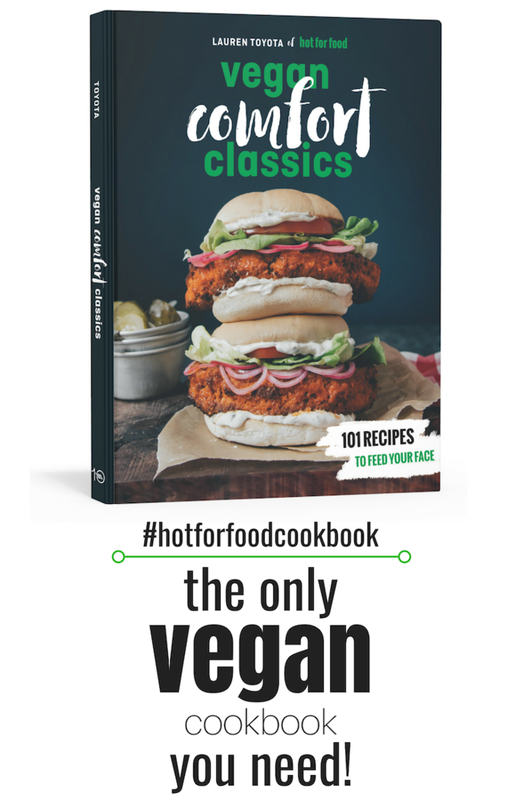 They’ve been satisfying my meatless cravings every since! The entire line is vegan, non-gmo, low in saturated fat, and contains no artificial preservatives, flavours or colours. You’ll even be able to find some gluten-free offerings too. Check out the how-to video to see what I made or keep scrolling for the full recipes. 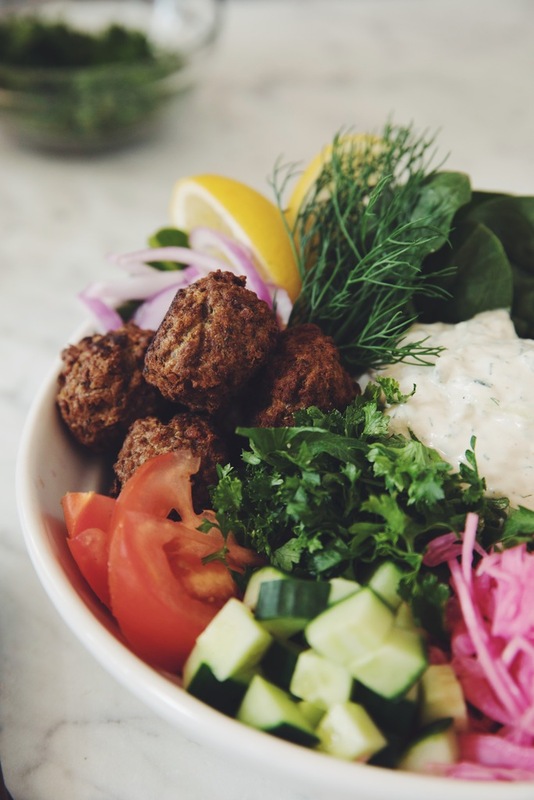 these falafel bowls are easy to devour throughout the week thanks to these tasty and convenient ready-to-eat falafel balls from Yves Veggie Cuisine! To make the pickled cabbage combine everything in a large mixing bowl or container that has a lid. Refrigerate it for at least 12 to 14 hours. For the roasted cauliflower preheat the oven to 450°F. Toss the cauliflower florets in a large bowl with the olive oil and spices until coated well and lay out in an even layer onto a baking sheet. Bake for 25 minutes or until nicely roasted with colour. With 15 minutes left in baking time place falafels on another baking sheet and bake on the bottom rack of the oven until time is up. Prepare the vegan tzatziki in advance and have all your veggies sliced and diced as well. You can assemble the bowls individually in to-go containers. Leave the tzatziki in a separate container or small jar and add right before serving. 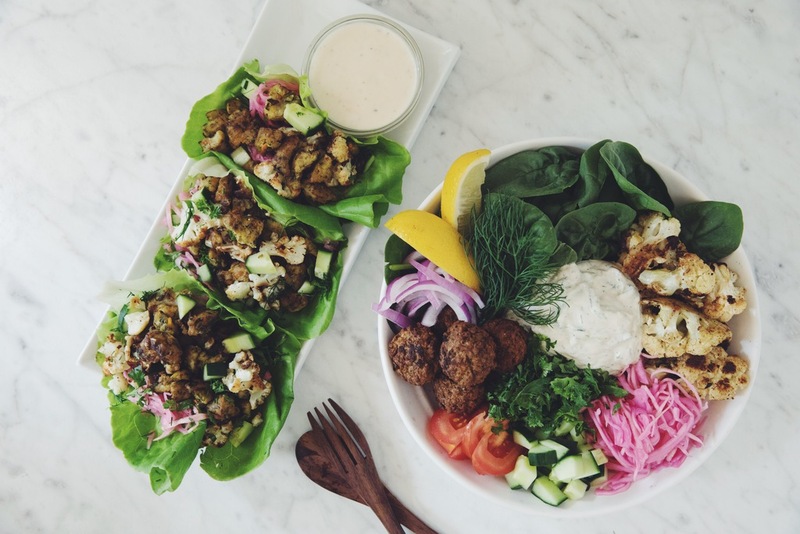 These meals will get you through 5 days in a row, since the falafels bowls make 3 servings and the lettuce wraps make 2 servings! these lettuce wraps have a hearty filling made from Yves Veggie Cuisine Kale & Quinoa Bites and crunchy cucumber, cauliflower, and pickled cabbage. Prepare the lemon aioli by combining everything in a bowl or jar until well combined and refrigerate. For the filling heat a cast iron skillet over medium heat and sauté the onion in oil for 2 minutes until softened. Add the crumbled kale & quinoa bites and spread out in an even layer allowing them to brown for 2 to 3 minutes and then toss. Don’t toss around too much or the crumbles won’t brown up nicely. It will take about 8 minutes to cook and brown up thoroughly. For the other components of the lettuce wraps combine the parsley and dill together and chop up the roasted cauliflower into smaller pieces. If bringing lettuce wraps to work or school leave lettuce apart from the filling ingredients and keep the aioli in a smaller container or jar. Assemble the wraps as you eat! 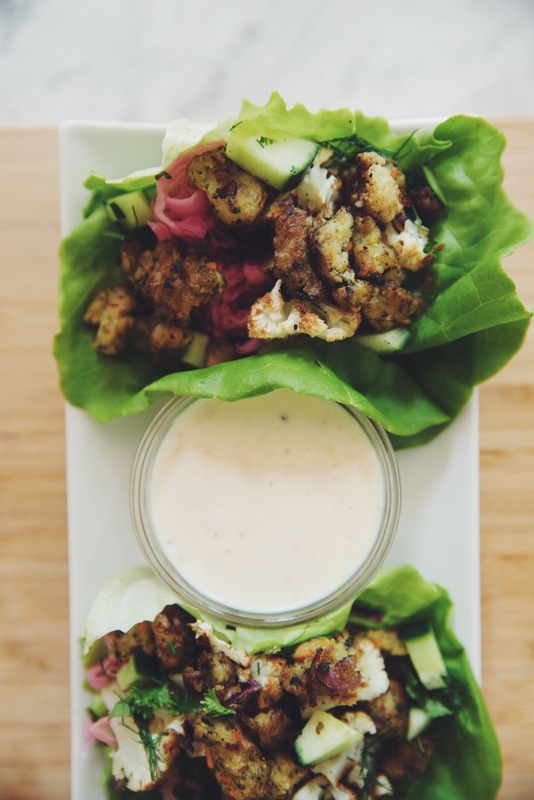 If serving immediately you can prepare the lettuce wraps with some pickled cabbage on the lettuce, roasted cauliflower, the crumbled filling mixture, cucumber, herbs, and a drizzle of sauce or dip the wrap into the sauce while eating.